1Ensure that the media is properly attached, or mounted, to your computer. For example, place the digital memory card in the card reader. 2Select the files to copy. You can select either individual files or a group of them. 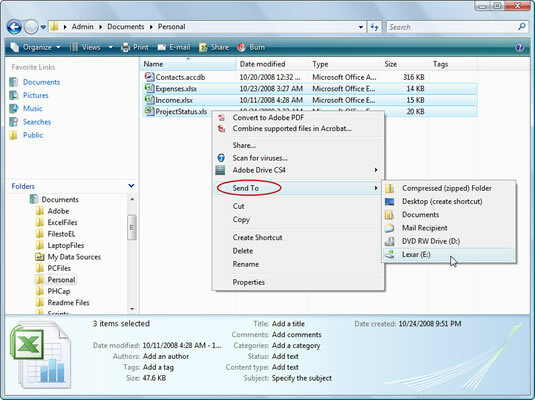 3Right-click the selected files and choose File→Send To, and then choose the removable media from the submenu. 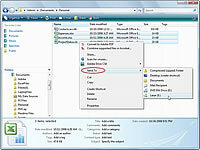 The Send To submenu lists all available removable disk drives to which you can send the file — even a recordable CD or DVD. The files are copied to the drive as soon as you choose the command.